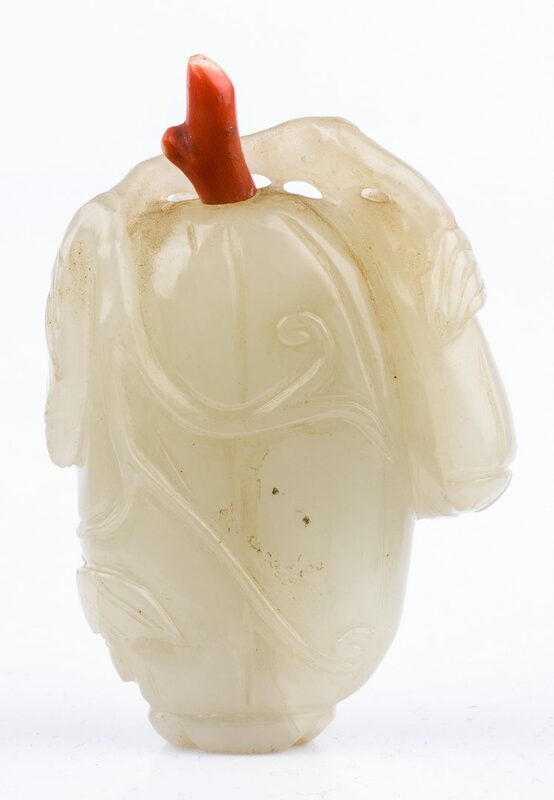 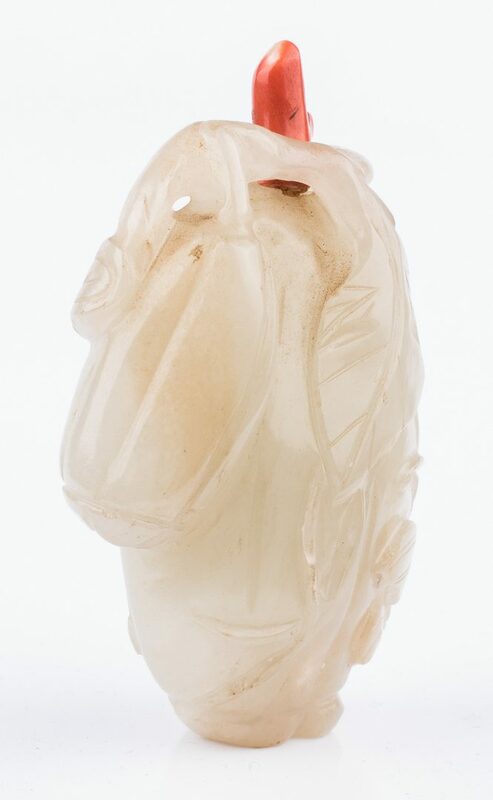 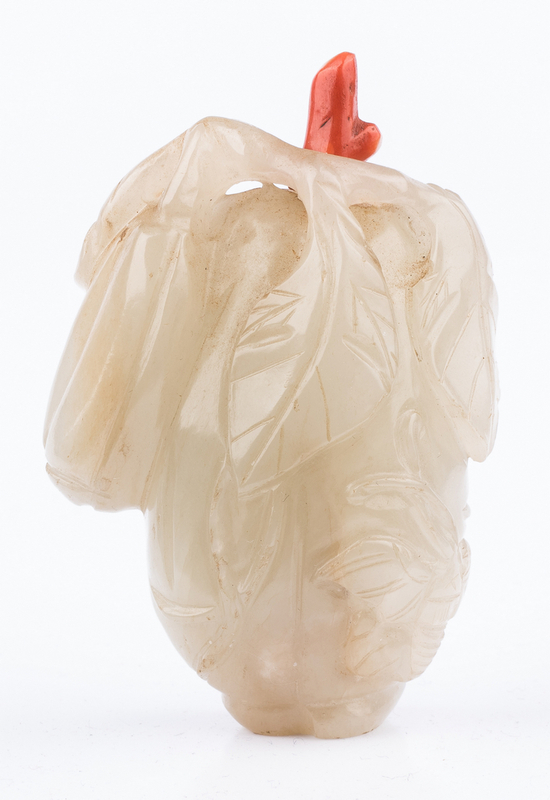 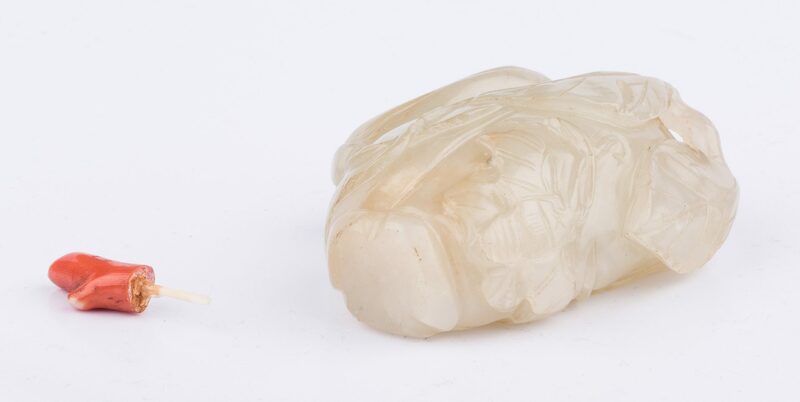 Chinese white jade snuff bottle, relief carved with melon or other fruit and leaves, 2 1/4" H. Late Qing/early Republic Period. Provenance: Nashville, Tennessee estate. 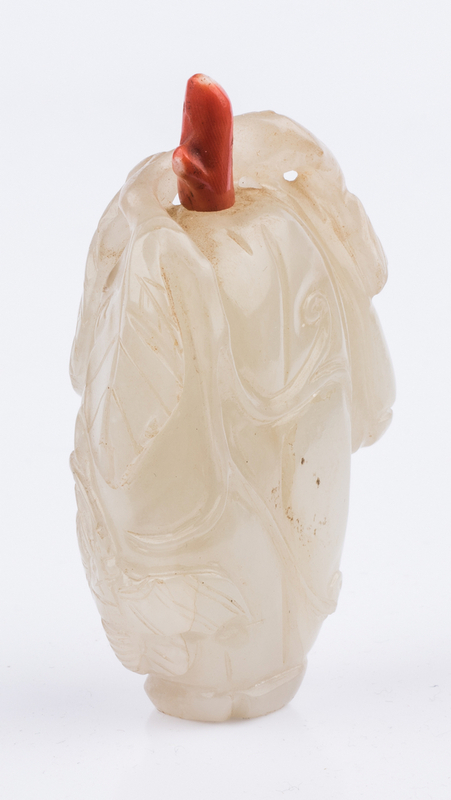 CONDITION: Coral stopper lacks spoon and may not be original to the bottle.